"There are kids all over the world right now looking at online chess lessons because they want to be like Tani, not Kasparov or Carlsen..."
Not being a sentimental type of guy, it is hard for me to label any chess news article heartwarming. But the nationwide story of an 8-year-old Nigerian refugee, Tanitoluwa Adewumi, (he goes by the nickname, "Tani") winning his division of the New York State Championship is exactly that; Heartwarming. Emotionally uplifting. The boy and his family had immigrated to America and were living in a New York City homeless shelter. Quoting none other than Garry Kasparov from a March 22, 2019 Washington Post opinion article "... Despite his family’s conditions, Tani learned to play at a good chess program in an excellent Manhattan public school. His mother took the initiative of getting him into the school chess club..." and the boy took it from there. Again quoting Kasparov "... Tani had learned to play only a year earlier, while most of his rivals had been playing in tournaments for several years." 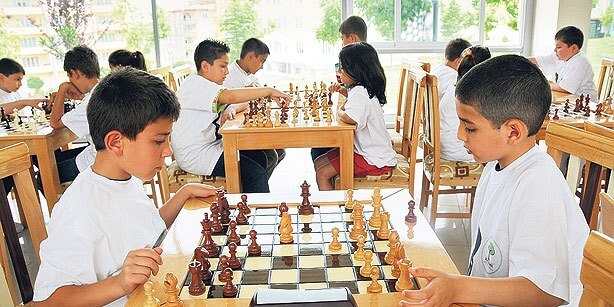 The beauty of this is, as Kasparov says, "There are kids all over the world right now looking at online chess lessons because they want to be like Tani, not Kasparov or Carlsen..." Many national newspapers, as well as television news programs, highlighted this great chess story. "...kids all over the world..."
The United States is the land of opportunity. The Statue of Liberty stands in New York harbor, welcoming all who come to the shores of America for the opportunity to better their lives. Make America Great Again?? America has never not been great. 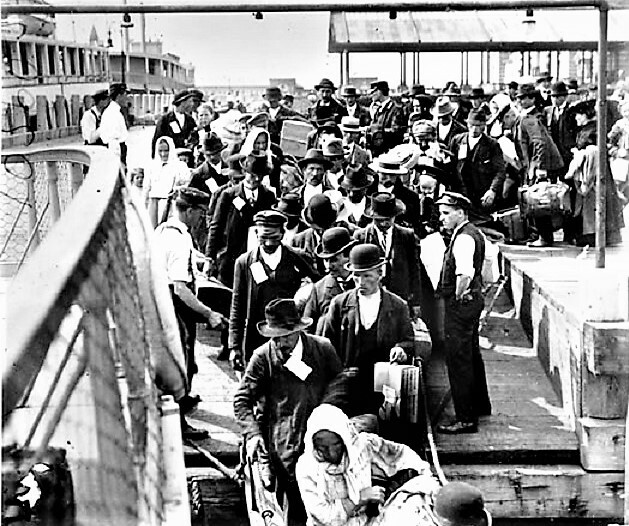 People from all over the world dream of coming to America. Maybe now more so than ever. 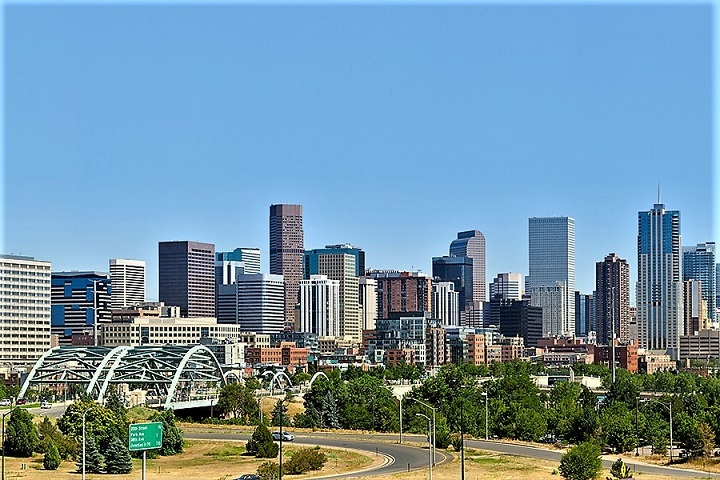 Under a bright blue sky, downtown Denver is a great vacation city for everyone planing to play in the 2019 Denver Open. Round 2 of the DCC March 2019 tournament is in progress. Vedanth Sampath with the Black pieces in the foreground. Not a single DCC player complained about our new policy of allowing players to play up only one section. It certainly made the Premier section games much more competitive. Gunnar Andersen went 4-0. and won the 1st place prize of 119 dollars (See diagrams #1 thru #4 below) But I know for a fact that his last round game with Sullivan McConnell was a dogfight. In his notes to the game, Gunnar says from move 72 thru move 79 he had to find the only moves to win or Sullivan could have held the draw. Mr. Andersen credits Sullivan with these words: "I think that he is phenomenal, and has a truly exceptional talent for chess". A real endgame battle arose in the game between Gunnar Andersen and Sullivan McConnell. Richard Shtivelband and Griffin McConnell share the combined 2nd and 3rd place prize of 116 dollars, both finishing with 3 points. Mr. Shtivelband added to his victory total against Brian Wall with a nice last round win. Griffin won his last round game over the hard to beat Mark Krowczyk to earn his share of the prize. (see diagrams #5 and #6) Incredibility both Eamon Montgomery and Vibi Varghese had identical 185 point Upset wins, so I think for the first time two players share the 20 dollar Upset prize. Eamon once again won against Brian Wall, and Vibi upset Vedanth Sampath. Griffin McConnell in a deep think pose. Haroun Mueller-Omar with White against Roberto Popa. In the background, Will Strong is playing White against Ben Gurka. The story of the U1900 section was two Unrated players were on the top boards for the last round. Both Roberto Ropa and Will Strong are new to the DCC and we are glad to have them. They both play very well. Mr. Ropa was paired against Haroun Muellar Omar for the last round. Mr. Muellar-Omar won the game to take the clear 1st place prize of 108 dollars with a perfect 4-0 score. (diagrams #7 and #8) Mr. Strong was paired against Ben Gurka, who had lost to Aditya Krishna in round 2. So Will had a chance to tie for 1st place, but Mr. Gurka was having none of that. Thus they ended up as part of a 6-way tie for the combined 2nd and 3rd place prize of 110 dollars. Aditya Krishna with the White pieces on his way to a nice 263 point rating difference win over Ben Gurka. In addition to his big upset over Mr. Gurka, Aditya earned his share of the prize money by crushing me in the last round. I helped him by making a really bad move. Aditya took advantage of that without hesitation or even a trace of mercy :-) (see diagram # 12) I also lost to Mr. Strong in round 3. In a good game, he kept making threats until I cracked under the pressure. Ken Doykos and Dwight Sehler also finished with 3 points to share the prize. Mr. Doykos mentioned to me that he has a 17 game no loss streak going. More power to him I say. Along with Aditya, another youngster won prize money in this section. Abhinav Krishna won the 20 dollar Upset prize for his huge 652 rating point difference win over George Peschke in round 2. Abhinav Krishna playing White against George Peschke. Elena Novik has too much material for the young Kaavya Sakthisaravanan to handle. Alayne Wilinsky is eyeing her position. Kaavya lost her last two games to experienced adult players, Tyler Bowling and Elena Novik, but not without a fight. Mr. Bowling, the big meanie :-), then also ended Grayson's streak in round 4 to share the combined 1st and 2nd place prize of 174 dollars with Petra Lambert-Gorwyn. They each finished with 3.5 points. Grayson's 3 point score took the 3rd place prize of 44 dollars. Kaavya wins the 20 dollar Upset prize for her round 2 win against Elijah Warwick. Congratulations to all the prize winners. Thanks to all the players who are making all 3 sections of the DCC Tuesday night tournament competitive. The 5 round April tournament will be for the title of DCC 2019 Tuesday Night Champion. A trophy - in addition to the prize money - will be awarded in all 3 sections. 1) Gunnar Andersen vs. Sullivan McConnell. Round 4. White's last move was 13. Ne2-g3. Mr. Andersen reprimanded his self for playing such a move. Do you see why? https://denverchess.com/games/view/18373 This is a great game to play through, and of course Gunnar's notes and analysis make it better. 2) Gunnar Andersen vs. Kevin Seidler. Round 2. As a class player I mostly just consider material and tactics. I don't grasp positional concepts like a blockade. https://denverchess.com/games/view/18375 Which is why I find Mr. Andersen's notes to be so instructive. 4) Eamon Montgomery vs. Gunnar Andersen. Round 3. Mr. Andersen calls his next move "a splendid pendulum idea." What do you think he means? https://denverchess.com/games/view/18388 Subtle positional thinking, i say. 7) Haroun Mueller-Omar vs, Roberto Ropa. Round 4. White to play and win. https://denverchess.com/games/view/18387 Mr. Mueler-Omar's comments and analysis are a lot like Gunnar Andersen's. Positionally instructive.